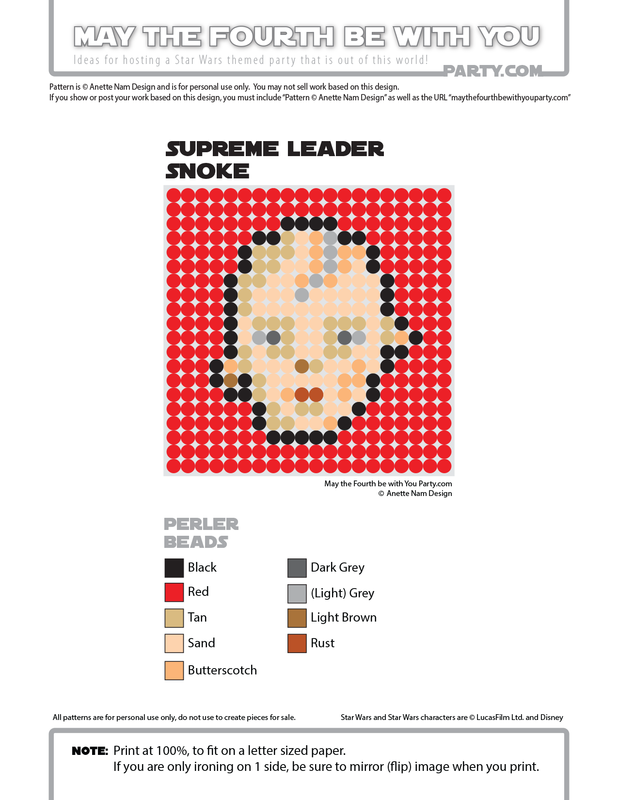 There has been more speculation about Snoke’s identity than pretty much anything else in The Force Awakens. Is he alive (and shown as a hologram), or dead (i.e. a spirit/”space ghost” like Yoda and Obi-Wan)? Is he Vader? The Emperor? Obviously, he is not Porkins. Andy Serkis was quoted as saying that Snoke is a new character, so maybe any and all speculation is pointless. Still, my favorite theory is that Snoke is the “dead” Darth Plagueis, re-appearing as a “space ghost”. There is really nice symmetry to that. The canon (or what used to be the canon) implies that Plagueis, who was the most powerful Sith that ever existed, is Anakin’s Dad (that Anakin was conceived through the “Force”). So for Plagueis to show up in The Force Awakens as a spirit, to finish what he started feels right considering how the Star Wars stories are very cyclical in nature. What do you guys think? I would love the hear some other theories! Now, this was the hardest of The Force Awakens patterns to make. We don’t really get a good look at Snoke in the movie, and what we do see is through a diffused blue light so I had to do a fair amount of guessing. But this will have to do until we get a better view in Episode 8. 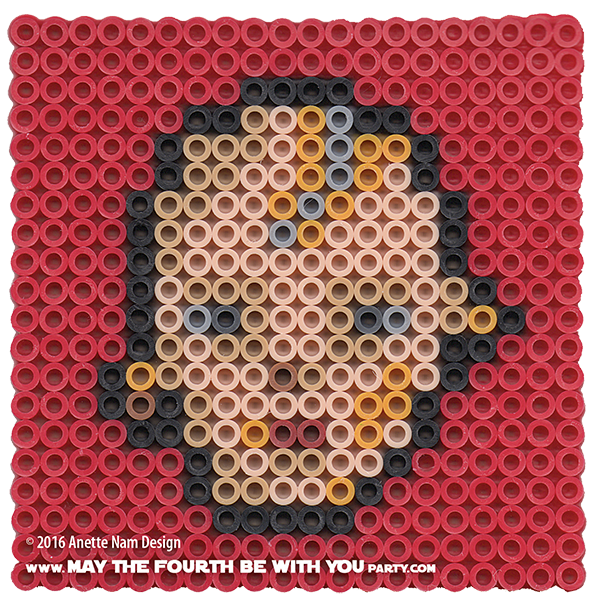 Here is the 17th of our The Force Awakens patterns, and #46 in the Perler bead/cross stitch/crochet/knitting/Lego/pixel/mosaic pattern series.